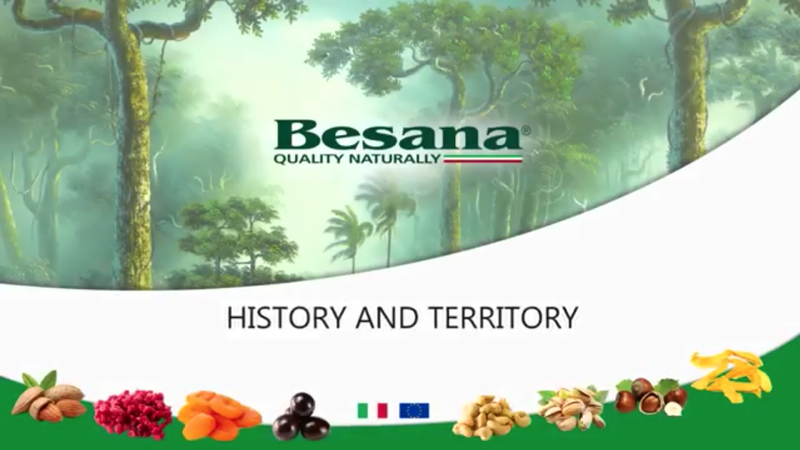 Besana was founded in 1921 by brothers Emilio and Vincenzo Besana to process the abundant hazelnut, walnut and chestnut crops growing on the rich volcanic soil at the foot of Mount Vesuvius in the Southern Italian province of Campania. The company grew constantly over the following decades expanding its product range, enlarging its geographic reach across continents, and widening constantly its customer base. Besana has always been working closely to regional farmers and growers supplying products from various countries and continents. The company is also involved in cooperative activities helping to develop and improve the production and commercialisation of nuts, dried fruit, seeds and chocolate across different regions worldwide. This long term policy has secured the company a dependable and loyal supplier base, essential in managing the wide range of products coming from growing areas around the world. Today the Group is managed by its fourth generation.